Beautiful town home (Brand New Construction) -Easy Commute to I95 /9B & top rated schools.Open floor plan- kitchen -living room & 1/2 bath on the first floor. Tiled first floor and carpeted second floor. 2 Bed rooms & 2 private bathrooms on second level. Granite counter top in the kitchen with stainless steel appliances. 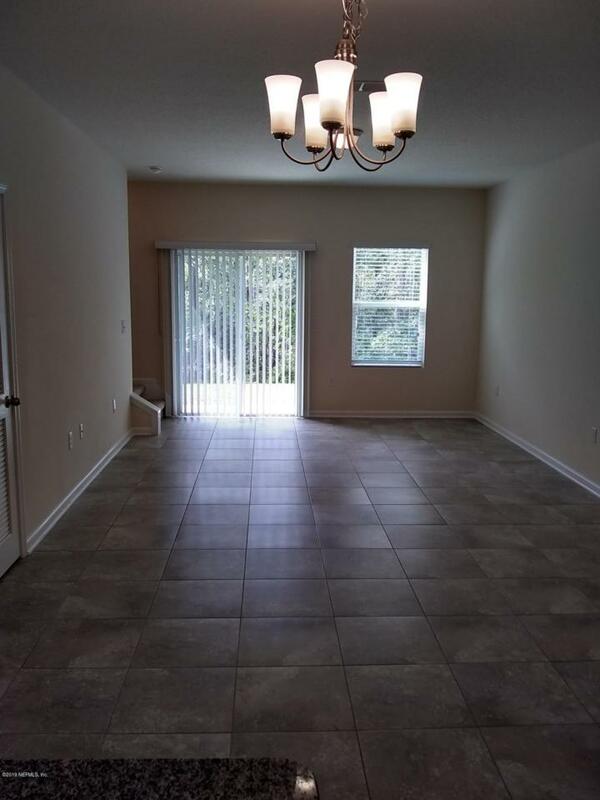 Preserve facing backyard.Minutes to I95 & 9B.Close to Durbin park pavilion town center, Walmart, Home depot, shopping centers, Hospitals, day care & highly rated St.Johns county schools.Access to top rated Durbin Crossing Amenity centers (North & South). Two huge pools, fitness center, basketball, soccer & baseball fields. Bike friendly.Zoned to Durbin Creek elementary school, Fruit Cover Middle & Creek side High School.